VATICAN CITY (CNS) — Pope Benedict XVI reaffirmed his trust in the Vatican’s secretary of state and defended him against a barrage of “unjust criticism” in the Italian media. The Vatican has had to face a number of challenges recently, including leaks of confidential correspondence to the pope and the Secretariat of State; the arrest of the pope’s personal assistant in connection to the leaks; and the ouster of the Vatican bank’s president, Ettore Gotti Tedeschi, for neglecting his duties amid worsening management problems. 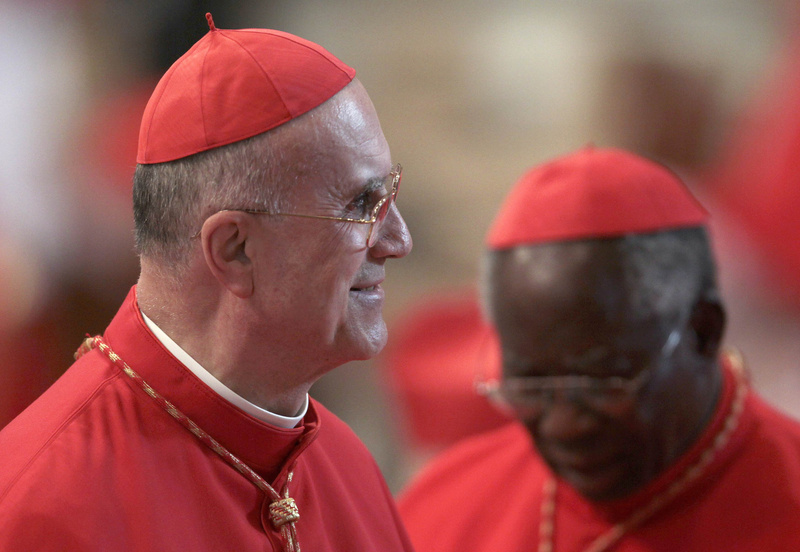 Italian media had been speculating that Cardinal Bertone would soon be replaced as secretary of state because of the Vatican infighting revealed in the leaks scandal. The cardinal formally requested permission to step down when he reached the usual retirement age of 75 in 2010, but the pope renewed the cardinal’s mandate to continue serving as the Vatican’s No. 2 official. “Having noted with sorrow the unjust criticisms that have been directed against you, I wish to reiterate the expression of my personal confidence,” the pope wrote in the letter, dated July 2. The Vatican released a copy July 4. The cardinal, who is a Salesian priest, served under the future Pope Benedict as secretary of the Congregation for the Doctrine of the Faith from 1995 to 2002, when then-Cardinal Joseph Ratzinger was the congregation’s prefect. The pope named him as Vatican secretary of state in 2006.